High-quality CD converting software, Xilisoft CD Converter converts CD to nearly all audio formats MP3, WMA, WAV, AAC, FLAC, OGG, APE and many others, making CDs available on different music players. 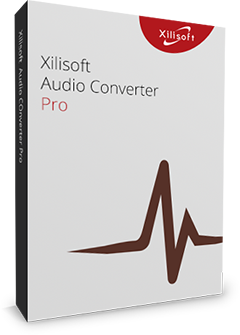 For satisfying special requirements, Xilisoft CD Converter also allows you to convert one audio track to multiple format music files at one go, split tracks, clip music segments, set audio effects such as fade-in/out, normalize, band pass, chorus, flanger, echo and speed, and do many more customizations. Convert CDs in a wink with Xilisoft CD Converter. Download this amazing CD converter for a trial now! Convert CD to audio files of different formats including MP3, WMA, WAV, AAC, FLAC, OGG, APE. Convert multiple CD tracks to audio formats at once; convert one track to multiple formats simultaneously. Options to transfer audio files to iPod, iPhone and PSP directly after converting. Add and adjust fade-in, fade-out, volume normalize, band pass, chorus, flanger, echo and speed effects to your audio tracks. Split your audio tracks according to split size or duration you choose or customize prior to converting. Extract multiple audio segments you want from CD tracks for converting. Make adjustment of the output parameters to customize the outputted audio; edit ID3 tag info of your audio tracks. Convert CDs with multiple CPU cores and multiple threads for maximum CD converting speed. Set Xilisoft CD Ripper to work in the background to spare CPU resources for others. Auto-exit the application, shut down, hibernate, stand by system, or do nothing after converting to keep you from waiting in front your computer. 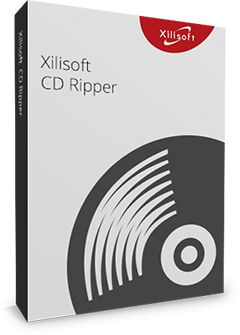 Xilisoft CD Ripper comes with English, German, Spanish, French, Japanese and Chinese interface languages.